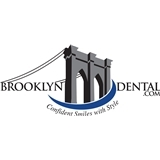 Brooklyn Dental (Brooklyn) - Book Appointment Online! Provide comfortable general, cosmetic, and implant dentistry in downtown Brooklyn, NY. We also have a dentist in Brooklyn on call for emergency dentistry. It was great, Dr. Abreo is very professional and understanding. He treats his patients with kindness and respect and the most important thing is that is that he knows what he is doing, if you know what I mean.